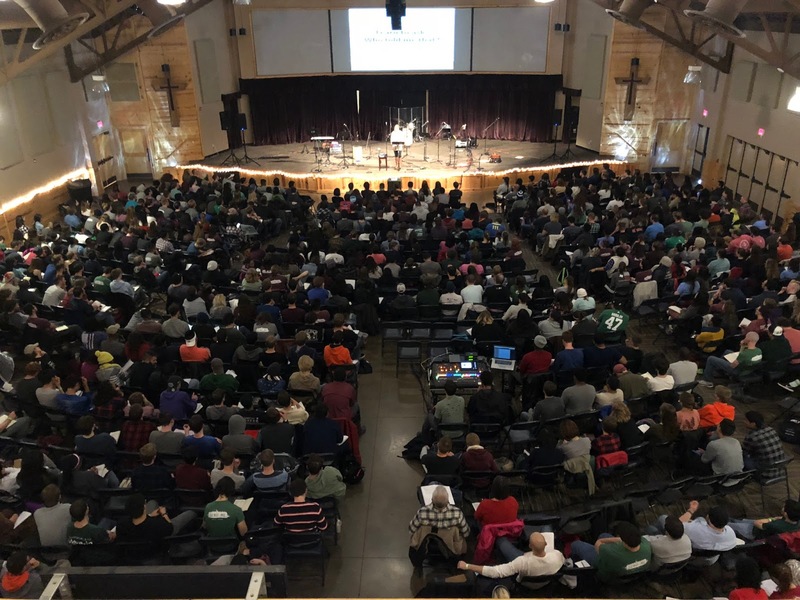 Confessions of a Campus Missionary: January 2018 Flew By! I can't believe that January has already passed by. It was a month full of events and meeting new students. 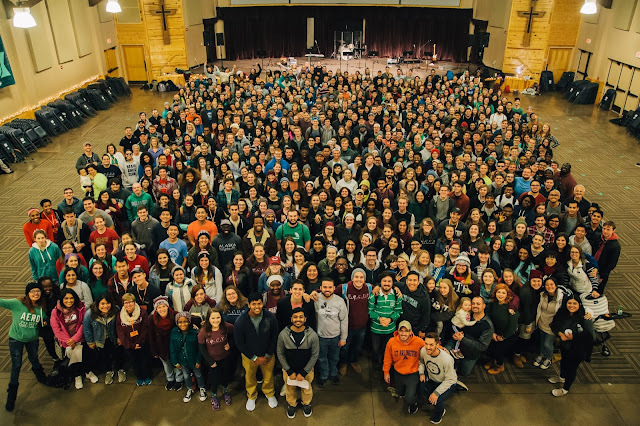 THANK YOU for your support and partnership in campus missions. 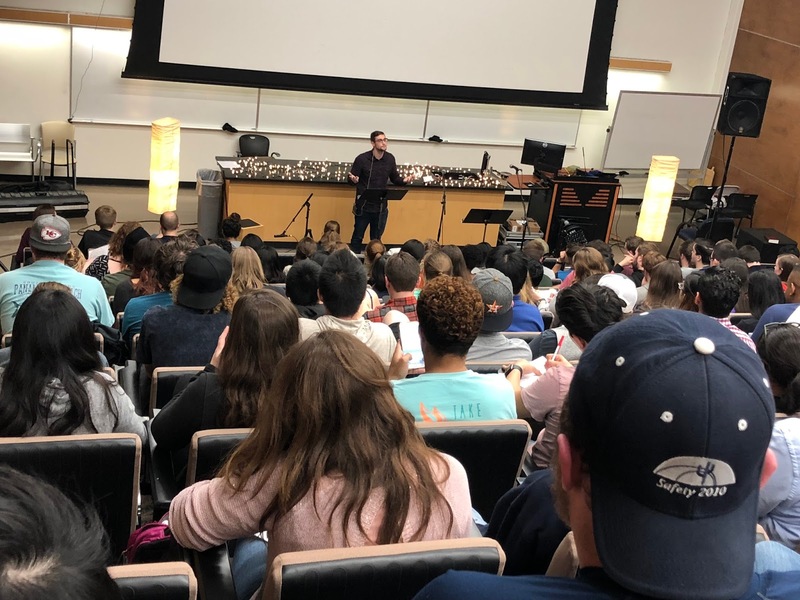 God is doing big things on his campuses in the North Texas area (also in the world) and I am grateful to have you side by side with me on campus sharing the love of Jesus! 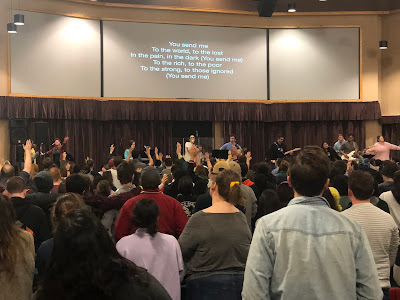 We had our annual FOCUS Winter Camp Jan. 12-15 and once again God was absolutely faithful in providing the funds from Richland College to get our camp paid for by the college. That is such a fantastic blessing. Many students at Richland do not have cars, work part-time, ride public transportation, etc. many of them do not have the resources to afford our $150.00 winter camp. 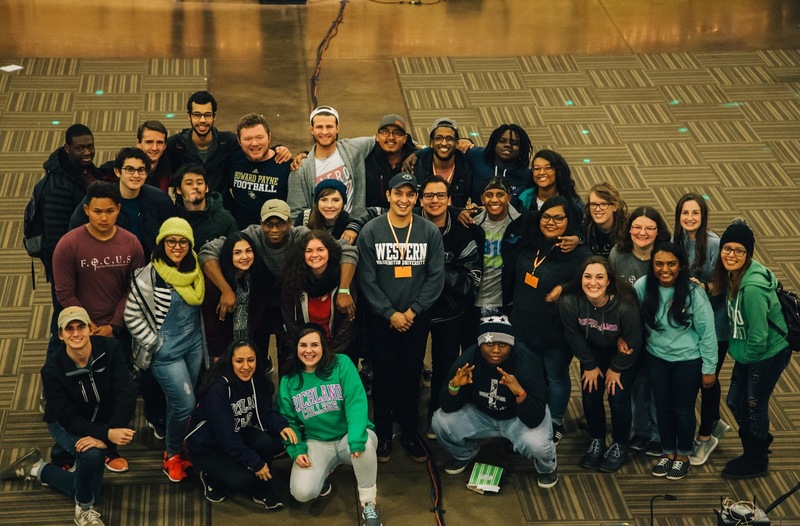 Though we do offer scholarships, it is such a great blessing to have a college campus that supports and believes in building community through their student organizations. Thank you Richland College! Winter Camp was a huge success! We flew in Geoff and Jessica Mumley from Bellingham, WA and they spoke on what it means to be "sent" into the world. They had a powerful message of, "Your mission is where your feet are." I believe that message stuck with our students and they responded positively to it! During our first week back on campus, many of our students were out meeting new people and inviting them to core! All of our FOCUS campuses gathered together for Winter Camp! 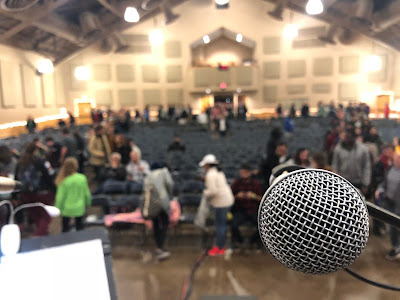 I had the opportunity to serve in leading worship at camp. It's always one of my favorite times of the year to help with worship! Our students brought so much energy and charisma to worship, it was great! Back picture of our Monday morning worship team! Our FOCUS podcast is off to a great start! We got to interview Father Jeremy Bergestrom. He is an Episcopal priest with SMU. He has been instrumental in our FOCUS campus ministry plant at SMU. We interviewed him about the importance of liturgy, the history of the church and what his vision is for SMU FOCUS. 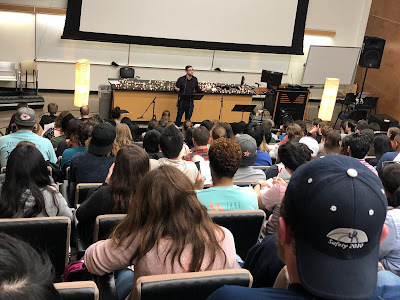 Laurence Glenesk, one of our UTD/SMU campus staff - preaching at our Friday Night Fellowship. We opened up the spring semester with sermons about social justice and how we can make a difference in our communities by helping disadvantaged groups. He did such a great job communicating this to our students and staff! Our Richland FOCUS group that came to winter camp! Our Richland FOCUS group that attended Winter Camp! Wide shot of our entire FOCUS ministry (all of the campuses). I'm so thankful for this group of students and how they serve one another. God has slowly been growing our FOCUS ministries and we pray that he would continue to do so! Thank you so much for your support and believing in our mission. Words cannot express just how humbled I am knowing that you are right there with me on campus through your prayer & support. Some of you have been there since the beginning for me and that blows me away. I hope that you're all encouraged and please do not hesitate to contact me if you need prayer for anything going on in your life!